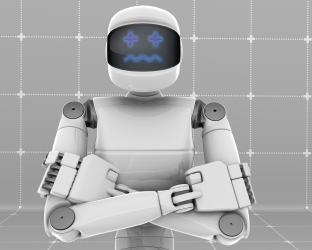 The number of so-called robo-advisor sites in Canada seems to be exploding. Last week Wealth Professional interviewed Chris Nicola, the founder of WealthBar. The new company combines ultra-low fees, online service and offers access to real advisors. But WealthBar is just one among many of a group of new companies occupying a space that is blooming into a hot new competitive market. Also getting set to take in assets is a site wealthsimple.com, which officially launches in mid-September. The company's founder, Michael Katchen, was recently a country director for Ancestry.com. As is the case with WealtBar the mission of the company is to provide access to "high quality financial advice without high account minimums or costs." The site use automation to determine an investor risk-type and then typically invest funds in ultra-cheap index-linked ETFs. Also in the space is a company called NestWealth.com. The firm was launched by Randy Cass, a CFA-holder and an anchorperson on BNN. Another new name is Smart Money Capital Management, which can be found online at www.smartmoneyinvest.ca. The ETF-based portfolio charges a 0.5% annual fee but offers access to real advisors. www.shareowner.com is likely the oldest firm in this space.